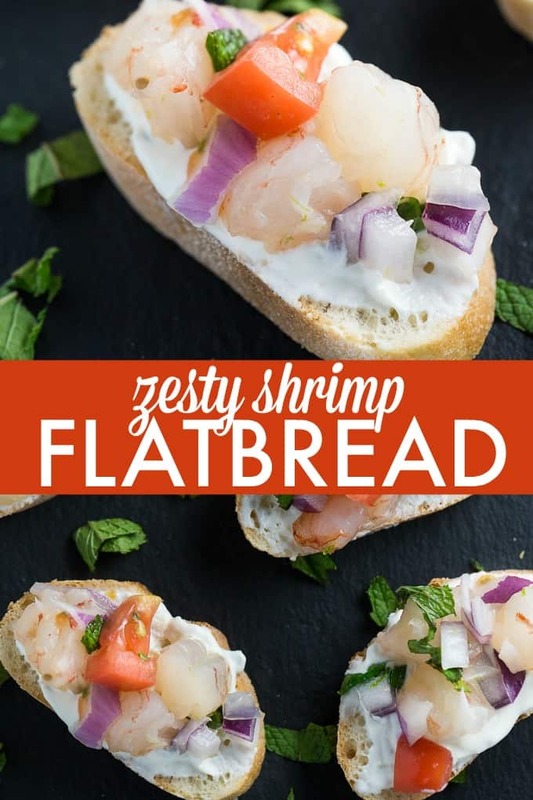 Zesty Shrimp Flatbread is a fresh and spicy appetizer that will delight your tastebuds! I love seafood and shrimp especially. I have to warn you though that it does have a kick. My lips were on fire so have some water on hand to cool down. 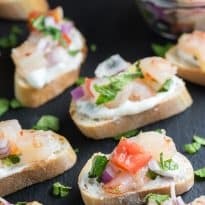 It’s an interesting marriage of ingredients with hot (jalapeno, onion) and cool (mint, Tzatziki) all wrapped up in a few delicious bites. I think the hot overpowers the cool though! 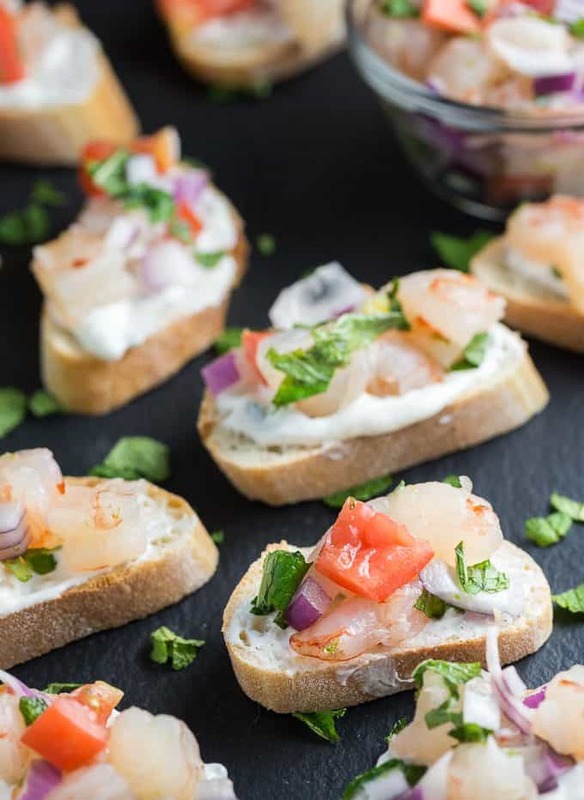 A fresh and spicy appetizer that will delight your tastebuds! 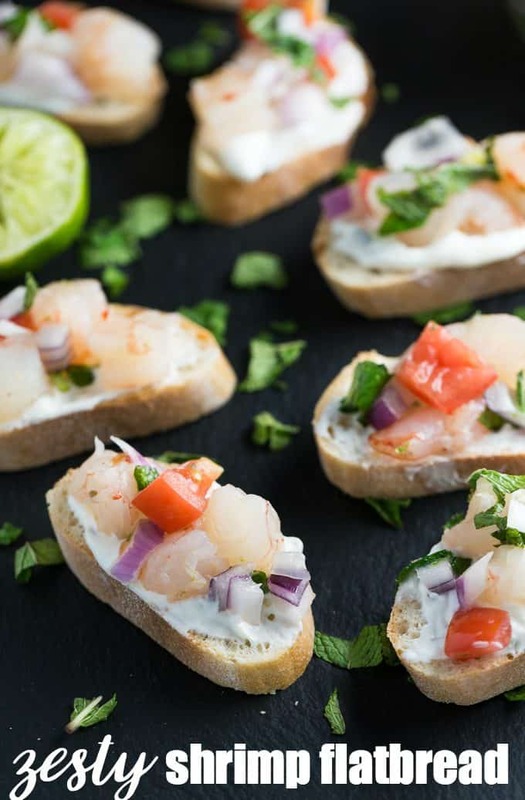 Place shrimp in a bowl, sprinkle lime zest and 4 tsp lime juice overtop. Stir in onion, mint, jalapeño, tomato and salt. Spread tzatziki on flatbread, and scatter shrimp mixture overtop. Adapted from Inspired by Sobeys.